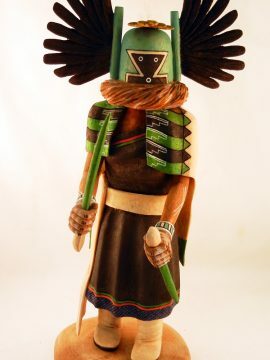 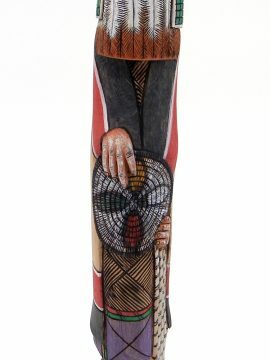 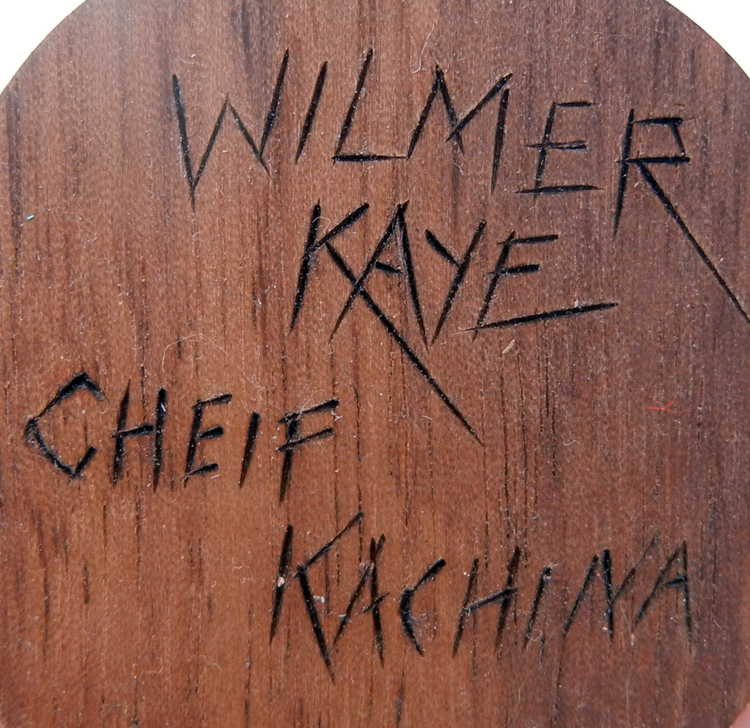 Hand carved from cottonwood root, this stunning display of artistry by Hopi carver Wilmer Kaye features the recognizable Chief, who is said to be an ancient kachina representing great power of knowledge. 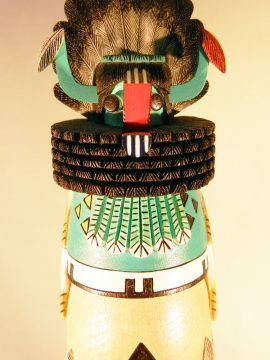 This colorful piece showcases detail along its entirety, from the delicate feathers atop the Chief’s head to the meticulously carved and painted sash hanging to one side of its body. 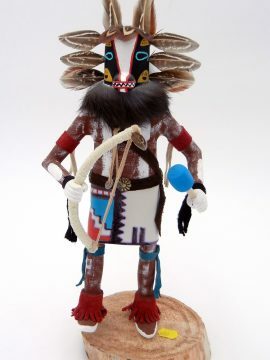 6 1/2″ tall x 2″ wide.